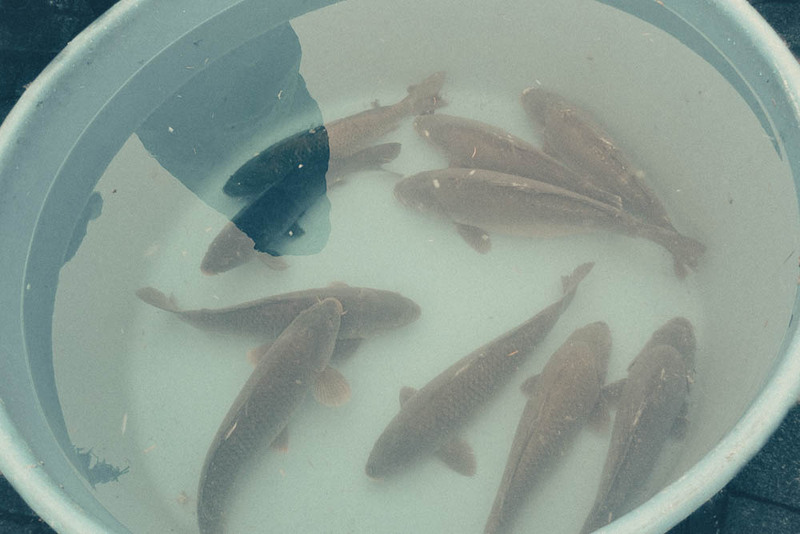 Czech fisheries began their traditional annual harvest of cyprinus carpio this week in preparation for the spectacle of pre-christmas live carp sales across the country. Carp are fat, thick-boned creatures that bottom-feed and revel in mud and standing waters so many inhabitants of maritime nations don’t consider them edible 1. In the Czech Republic though the carp enjoys a special place in culture and folklore. Carp is a ‘cute’ fish. With its big belly and unaffected demeanor the fish is an obvious hero for illustrated carp fairy tales children grow up with. It is the obvious choice for Christmas dinner and the country’s fish industry is built around it. Perhaps surprisingly for a country without access to the sea or any major lakes (see: Absence of Ocean), Czechia produces 20.000 tons of fish every year. Carp accounts for 88% of total production 2 3. Czechs are current world champions of carp fishing after a Czech team caught three fish totaling 58.6 kg during the 2016 World Cup that took place in Nové Mlýny, South Moravia. 4 Czech scientists created a new, better, carp, in 2016. The carp industry is centered around the south-Moravian town of Třeboň where carp production goes back to the 13th century. The rise of carp is inextricably linked to the emergence of Christianity about one millennia ago. Christianity banned eating meat during fasting. The Czechs turned quickly worked around this flaw in their new religion and turned to carp. After all they were considered a delicacy in China. Even better Carp are undemanding fish; they are prolific breeders and they don’t eat their young. Rearing carp really took of under Charles IV in the 14th century. By the beginning of the 17th century people had dug artificial ponds and lakes covering a total of 1,600 hectares. That’s equal to the region’s total area of natural water bodies and about three times the size of Europe’s biggest lake, lake Balaton. 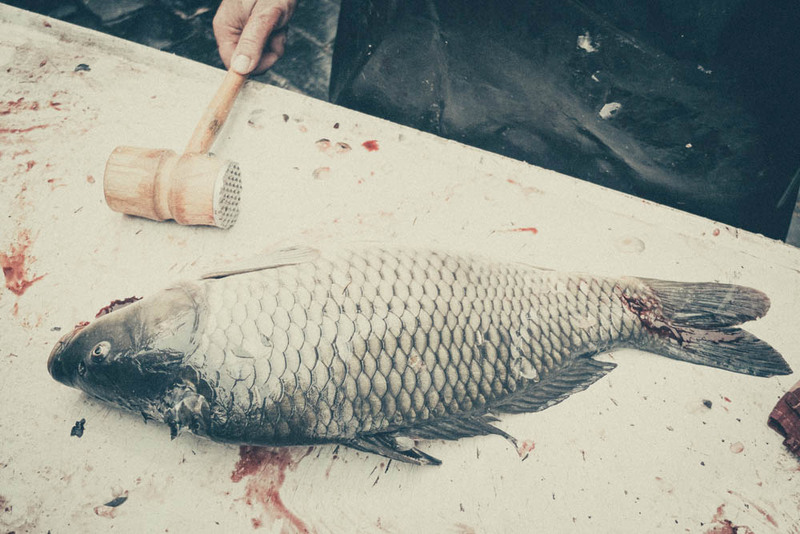 Ever since the medieval ages carp has been the obvious choice for Christmas dinners. Christmas carp are not killed but caught alive. 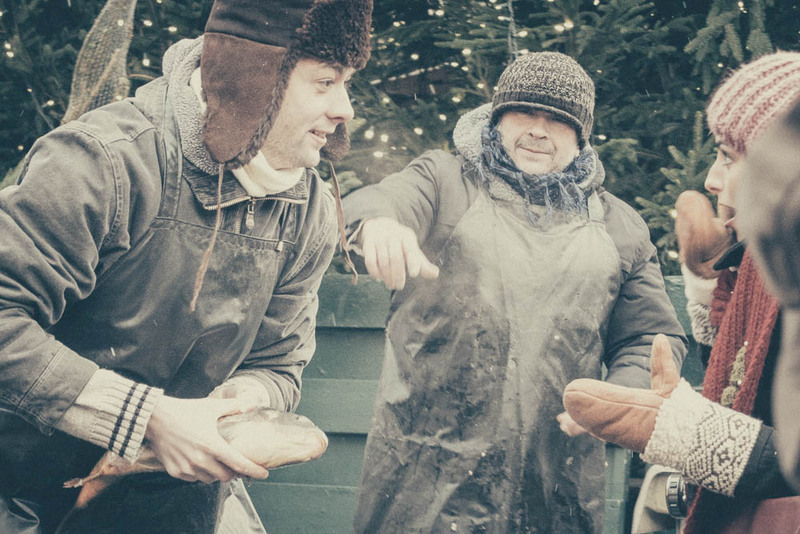 In December all over the country little pools filled with carp are put up on town squares and markets. People patiently queue as temperature drop below 0° to pick their carp. Fishmongers, dramatically smeared in blood and guts, club dead and clean most fish on the spot but they never do so without asking the crucial question: dead or alive? Most people choose to have their fish killed on the spot. However, especially if children are present, many families prefer to take their carp home alive, carrying it home in a plastic bag. At home it occupies the family bathtub until it is ceremoniously slaughtered on Christmas Eve. Christmas Carp is usually fried and served with potato salad. The Absence of Ocean Krymska suspected of Crimea-related trade sanctions violations.